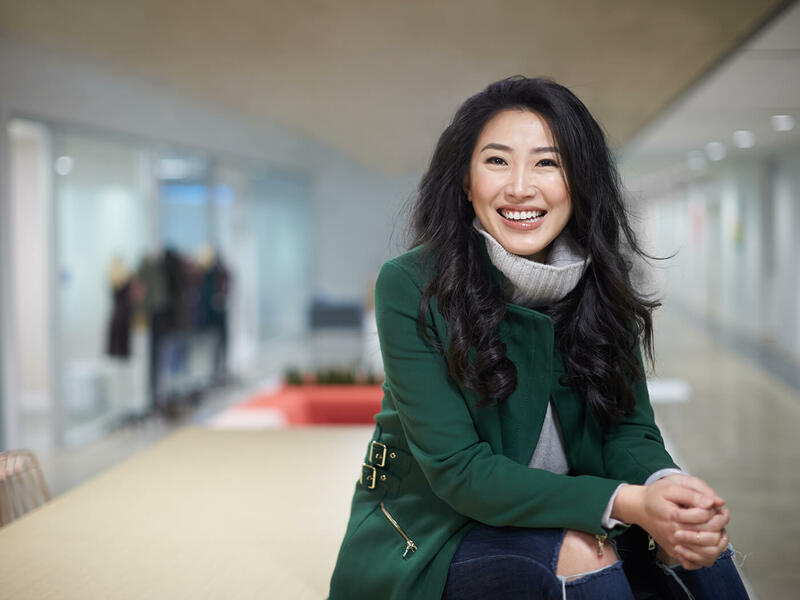 Meet Jena Wang, our Director of Exclusive Brands (the brands we get to create and develop in-house!) and the "most stylish" member of our office. From your favorite brands like 41Hawthorn to Market & Spruce, she’s the one that gets you pieces that you can only find right here at Stitch Fix, and of course...in your very own Fix! See what a day in the life of Jena Wang is like! Can you give us a breakdown of your day starting with your routine in the morning? 6 a.m.: Peel myself out of bed after hitting snooze at least 3X. But before I actually get up, I’ll get my mind jogging by thinking about the dream that I had the night before. I find that it helps to wake me up. Plus I dream a lot and find that the only way to remember a dream is by recapping it in my mind the next morning. Strange, I know. 6:30 a.m.: Time for a quick morning workout if I didn’t snooze for too long. I’ve realized that I really love exercising at home to workout videos. Not only do I avoid the drive out to a gym/class, I get to hit the pause button at anytime to gasp for air. My new thing is Zumba DVDs, they’re so much fun! 7:30 a.m.: I recently started giving myself 15-20 mins of “me” time before heading out the door. From the moment I wake to when I get in to the office, everything usually is a rush, rush, rush but I read that giving yourself that 10 to 20 mins of quiet time where you aren’t rushing, can really help settle your mind and prepare you for the day. Let’s face it, living in the Bay Area, we could all use the zen before our long commute. 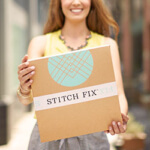 Tell us about your experience building out our Stitch Fix exclusive brands? Launching exclusive brands here has not been an easy feat, and that’s a good thing! As someone who’s grown up in the traditional retail setting, most of what you do is based on your gut or instincts. Enter Stitch Fix with its rich source of data and powerful client insights, throwing me for a loop in terms of how to synthesize so much data and how much to factor in to a highly creative product development process. My experience here has taught me that it’s all about balance. There will always be a push and pull between the science and the art; being thoughtful and intentional about which is relevant in what moment or decision of the product creation process is my job to master in building out our Exclusive brands assortment. What lead you to Stitch Fix’s Exclusive Brands team? This question is like asking a parent which child is their favorite! If I had to choose one, it would be 41Hawthorn, which we consider to be our workwear brand. We get to make clothes that help women feel like their best and most stylish selves at the office–or even just a little more polished if they don’t have a 9-to-5. What about your style! What do you care about when you get dressed. My style has evolved over time and I’m certain it will continue to as I go through the different stages of life. For the moment, I’m all about stylish comfort and on occasion, one eye-catching accent piece. The “pop” could be a statement necklace, a wild shoe or a boldly patterned maxi kimono. Whatever the statement item is, just make sure to tone down the rest of the outfit so that it’s not too much. Again, the key for me is comfort. Rocking a 10 pound necklace and a super high heel was worth it in my youth, but not so much these days. What advice would you give for finding your personal style? I am very close with my family. If I could, we would all live next to one another and be able to see each other every day. Luckily there’s FaceTime so I practically do get to see them every day. My husband and I have been together since high school. I could not imagine my life without him, and I’m so glad we have survived all the stages of adulting so far. I take karaoke very seriously and will most likely decline your offer to go sing top 20 pop hits. I prefer a slow Chinese love song please. Some of the coolest and most talented people I know have been introduced to me right here at Stitch Fix. I cherish moments that much more because of the people in them.